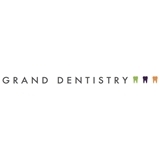 Grand Dentistry (Chicago) - Book Appointment Online! Welcome to Grand Dentistry! We are proud to serve the River North neighborhood for all its dental needs, from a simple check-up to full mouth rehabilitation. We apologize, but our website is taking on a new face however we are still accepting appointments online. Please fill out the form below to schedule your appointment today! Don't forget to bring your insurance card and photo ID with you upon your first visit. No insurance? No problem! We offer in-house discount plans to accommodate everyone. Please don't hesitate to call/email with any questions you may have. All of the staff were absolutely fantastic. They took my info ahead of time, checked with my insurance to make sure I was covered. Communicated so quickly and personably. John at the front desk is so helpful. I can’t remember the technicians name but she was very good and very thorough with the teeth cleaning and not judgmental about me not coming in for a while. I actually saw Dr. Deepan Patel. He was very friendly, relaxed and professional. He fixed my retainer and took time to ask me questions and make sure everything was feeling okay. 1000% reccomend this office. No wait time. Went during my lunch break and was in and out in plenty of time. Paperwork was ready when I got there and everyone was very friendly. Place is very clean too.